Is there a better alternative to Tabula? Is Tabula really the best app in Mathematics category? Will Tabula work good on macOS 10.13.4? Note: Clicking the 'Download' link above opens a page on the developer's site which requires Microsoft's Silverlight. 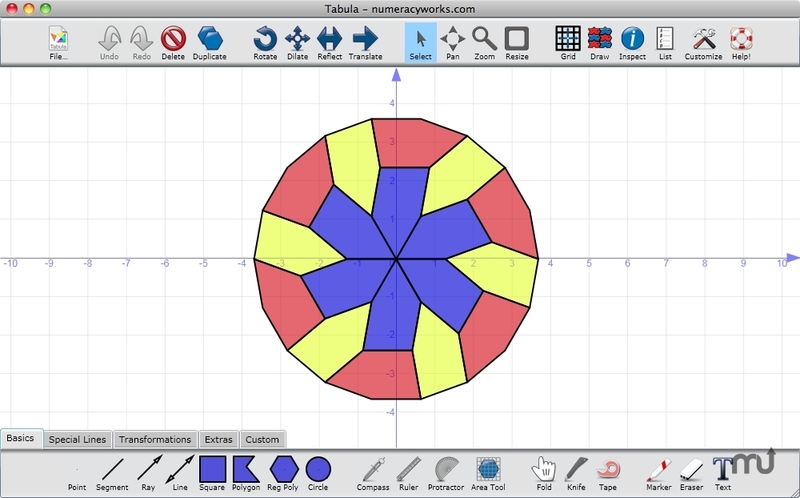 Tabula is a geometry program designed for both the classroom and the hobbyist. Use Tabula to create, construct, cut, tape, fold, and transform geometric figures. This is a new version of Tabula that uses Silverlight to run on most computers. Tabula needs a rating. Be the first to rate this app and get the discussion started!